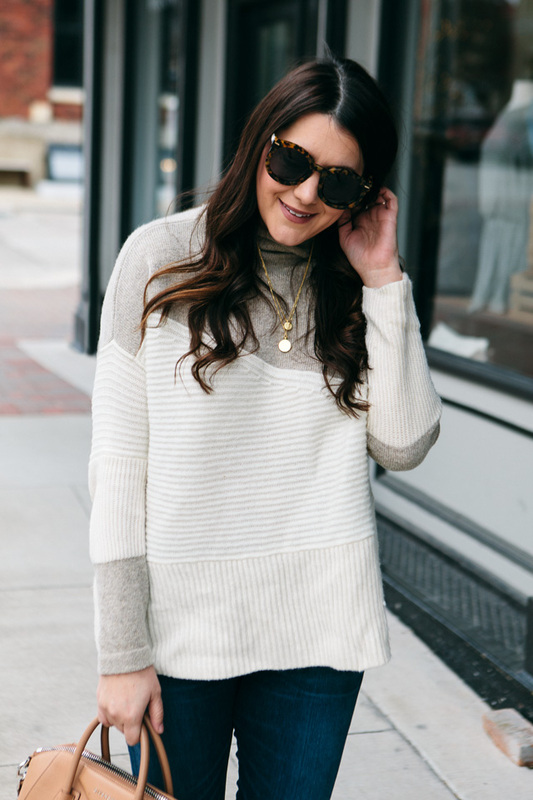 I bought this sweater on sale back during the Cyber Monday sales and luckily it’s still available in a few sizes here and here! Sometimes I feel like I find the best items during Nordstrom’s sales but most of the time it feels like it’s the first time I’m seeing them. 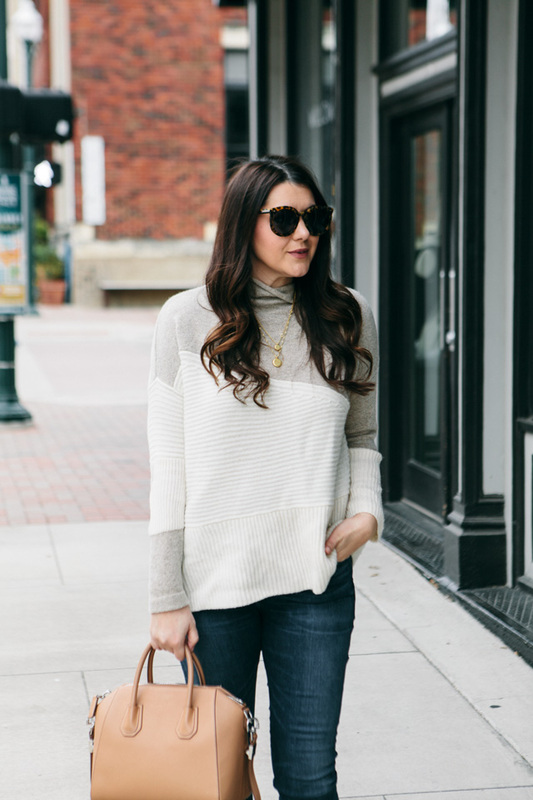 Usually, I try not to dive head first into the sales (well, not to too deep anyway) when I’m making a sale post for the blog but this sweater got me. I snatched this sweater up the second I saw it. I’ve worn it a few times and I wash it and it came out perfectly. (Albeit it needs a bit of steam after it is washed, I will say, which I did not do this morning. Sorry for a few wrinkles!) Like I said earlier, there are still a few in stock so you can find it on sale at Nordstrom here in a few sizes and at Amazon here. You ready for my closet win today? It’s a short story that I’m going to make long, so grab your coffee and here we go: I don’t think it’s a secret that I gained a lot of weight when I was pregnant since I documented all the way up to Gemma’s arrival. After she arrived, it then took me a little less than a year to lose the weight. During the first 6 weeks postpartum, for some reason, I got this stupid idea to go into my closet and try on jeans that fit me pre-pregnancy. Now, why I thought these jeans were magically going to fit I have no idea but guess what? They didn’t. I could barely get them up above my knees. I am not sure what I was expecting — maybe for them to just not button? But that was not the case, so I took them off and hung them back up and thought ‘one day’. 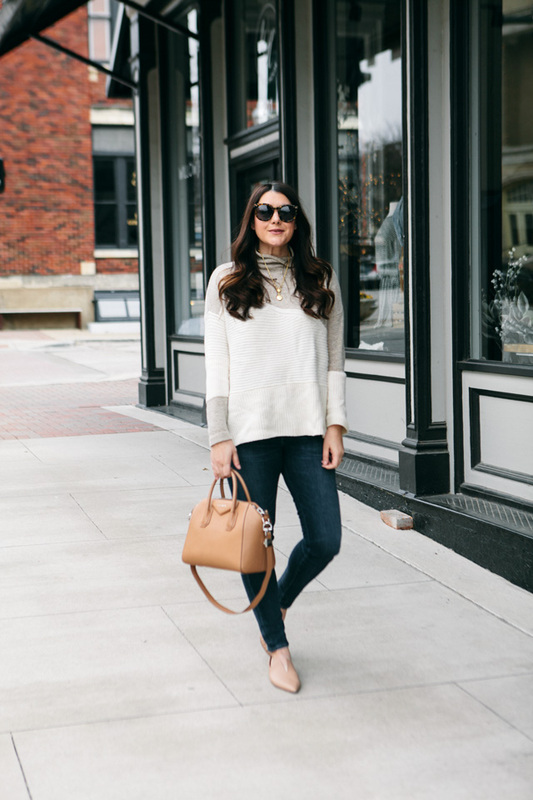 I ended up buying a couple of pair of jeans that I could wear through my weight loss (Madewell Roadtripper jeans were my lifesaver!) and just kind of mentally put my old jeans away for a while. 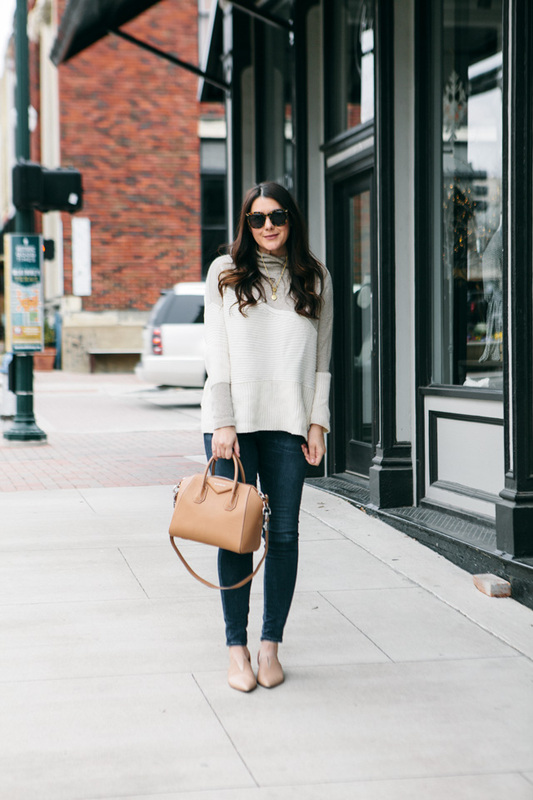 Last June, I decided to brave my old closet again after I’d lost most of the baby weight. I decided to give a few pairs of old denim a try and my pre-pregnancy jeans finally fit. I started, warily with one pair and then another and then another. I was in tears I was so excited because I’ve got a lot of quality denim in my closet. I’d not realized how much I’d missed my old closet. We had our anniversary on Saturday and I was looking for something to wear. Past Kendi would have bought a new dress or something fancy to wear but honestly, our anniversary snuck up on me and we didn’t know if we would be able to celebrate. So as I was looking for something to wear I came upon this pair of Citizens of Humanity jeans. They felt brand new; in fact, I almost don’t remember buying them. I took a breath, put them on and they fit. It was like a new pair of jeans! And I didn’t even have to buy them. I was so excited. That my friends is a ‘closet win.’ I like to thank my former self for buying nice jeans in my right size. 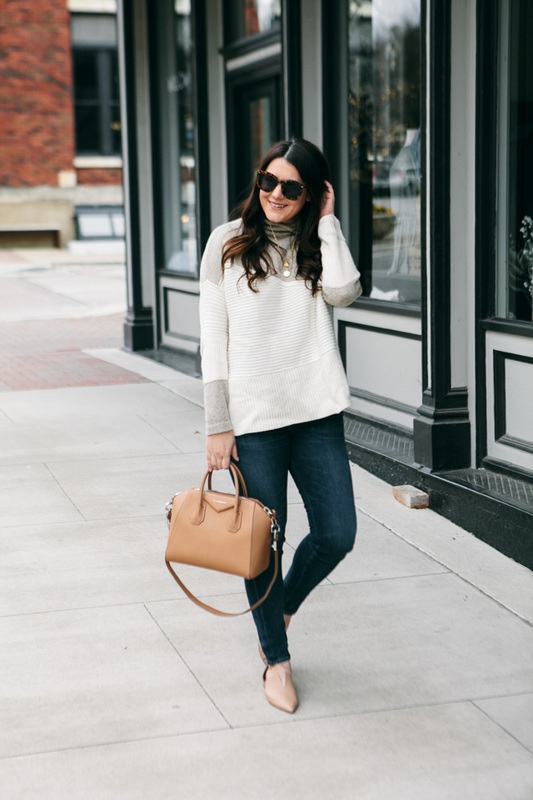 You can find these jeans here from Nordstrom or I’ve found a really great look-alike pair from Good American here! Side note have you guys tried Good American yet? 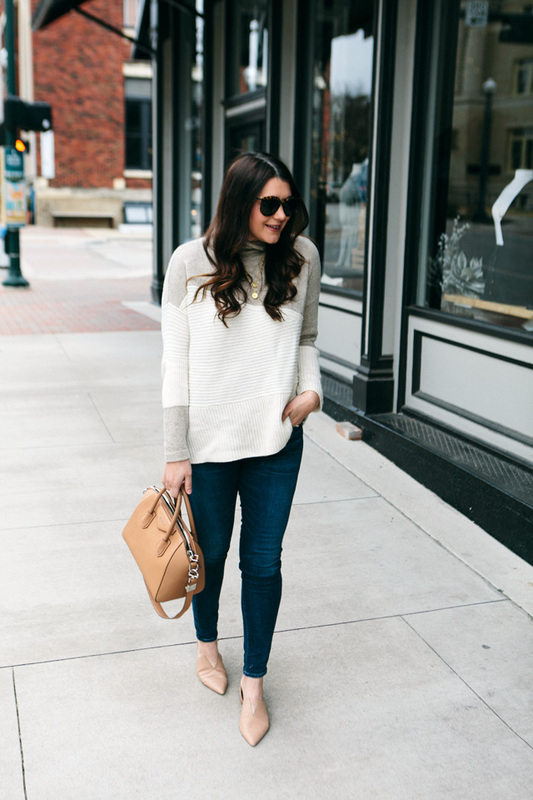 I have a pair of distressed jeans sitting in my cart, but I’ve not bought them yet! They have pretty good reviews, so I was going to try them out! The jeans fit true to size! They stretch a little with wear but stay true to size. The sweater is TTS as well. I’m in the medium. I am wearing a camisole underneath because it has wool and can be a bit itchy. Congrats on the closet win!! That’s a great one! I also gained a lot of weight with my pregnancy and I’m still losing it. BUT the post-pregnancy jeans I bought that are 2 sizes too big are baggy now! Woo hoo! After watching Tidying Up on Netflix I went through my closet, purged a lot of the cheaper pre-preg clothes that I know I won’t want to wear later on, and lovingly stroked my beautiful pre-preg clothes to let them know I’m coming back for them! haha. Woohoo!! That’s such a nice feeling when you work towards your goal. Dieting in my 30s is so much slower than my 20s so when I see a difference in my pants I get so excited! LOL to loving stroking your clothes. I get this on a spiritual level. Your sweater is so pretty! Oh my gosh I thought FOR SURE I’d lose all the weight with breastfeeding and No way. It all stayed on until I stopped plus the months after I had to really diet. It was tough but I knew it would happen eventually. So I totally know how you feel. Also CONGRATS! A new little baby to squish and love is the best!!! Thank you! She’s absolutely amazing and my son surprised us with how great of a big brother he is. Breastfeeding has helped a bit, but now that we have more of a schedule during the day I definitely need to get in a workout a few times a week now because once I go back to work full-time it’s going to be even more fun figuring out how to do it all lol 😂. I couldn’t get the links to work! Hi Kendi! Do you have the light oatmeal and it just photographs more grey or was there another more greyish color? Oatmeal! But I think its just the way it phtoographs?? I’ve been contacted by this website for a collaboration and almost chose this piece to try but went for another sweater instead, I’m kind of regretting it now but I’m really hopeful for the one I’ve ordered! Can’t wait for it to arrive !